Be the first to share your favorite memory, photo or story of Marlin. This memorial page is dedicated for family, friends and future generations to celebrate the life of their loved one. 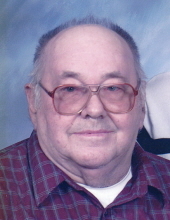 Marlin Otto Kay, 82, Forestville, passed away March 14, 2018 at the Algoma Long Term Care. He was born June 25, 1935 in the Township of Brussels to Ernest and Rose (Delongville) Kay. Marlin ran a family farm from age 14 until last year. In addition to farming, Marlin worked at the Algoma Lumber Co. for 25 years. Marlin married Norma Petry on November 10, 1956. He was a member of the Kolberg Emmanuel Lutheran Church, a founding member of the Northeast Wisconsin Antique Power Association. He was honored as Thresherman of the Year in 2003. Marlin enjoyed spending time restoring tractors, watching tractor pulls and farming. He is survived by his wife, Norma, five children, Vicki Polcen (special friend Mel), Sturgeon Bay; Michael Kay, Cadott; Tom (Chris) Kay, Forestville; Linda (Mark) DeKeyser, Brussels; and Paul (Judy) Kay, Kolberg; 10 grandchildren, seven great grandchildren and special furry friend Oliver. He was preceded in death by his parents, one son David Kay, one daughter Patsy Kay and one sister Marion Kay. Family and friends may call at the SCHINDERLE FUNERAL HOME, Algoma, Sunday March 18, 2018 from 4 - 8 PM and after 10 AM Monday at Kolberg Emmanuel Lutheran Church until the time of services at 11 AM with Rev. Mark Falck officiating. Entombment at the Shrine of the Good Shepherd Mausoleum. The family wants to give a special thank you to the Algoma Long Term Care and Dr. Anderson for the wonderful care that Marlin received. Sign the online guest book at www.schinderle .com. To send flowers or a remembrance gift to the family of Marlin Otto Kay, please visit our Tribute Store. "Email Address" would like to share the life celebration of Marlin Otto Kay. Click on the "link" to go to share a favorite memory or leave a condolence message for the family.